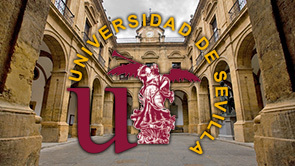 We are pleased to announce the International Conference on Tourism Dynamics and Trends which be held at the Faculty of Tourism and Finance, University of Seville. The International Conference on Tourism Dynamics and Trends is organized in collaboration with four Universities: Akdeniz University (Turkey), Kemptem University of Applied Sciences (Germany), University of Sannio (Italy) and University of Seville (Spain). The II International Meeting will be hosted at the Faculty of Tourism and Finance, University of Seville in June 26th-29th, 2017. This edition of the Conference will be devoted to the memory of Steve Watson, profesor who was at John St John University, member of the Scientific Committee of the Conference and visiting professor at the Faculty of Tourism and Finance of the University of Seville. The organizing committee invites paper submissions from both academics and experts in the field of tourism from all over the world. The main aim of the Meeting in 2017 is to share the scientific knowledge and development in tourism, travel and hospitality area by providing a platform to share the most recent research, innovations and achievement in different topics on Tourism knowledge. The interdisciplinary and international character of the Meeting will allow the researchers from all knowledge fields on Tourism to share different perspectives to tackle the complexity of reality, joining together efforts to analyze, evaluate and predict future situations. Deadline Full paper/ Extended Abstract/ Poster submission: from 18th March to 15th, May 2017. Notification of paper Acceptance: from 15th April, to 20th, May 2017. Once accepted the paper, authors and co-authors should make their registration and payment Form 23th to 31st, May 2017 (please, see Registration Fees for instructions). After the payment, papers will be included in the final programme. Please, note that your registration WILL NOT be confirmed until payment is credited/received. Papers will be written and presented in English. International Journal of Business and Society (ISSN: 1511-6670). SCImago rank Q4. Advances in Hospitality and Tourism Research (AHTR) (ISSN: 2147-9100). C.I.R.E.T. Special Issue on Tourism Innovation: The best papers or section on Innovation in Tourism will be proposed for submission in an extended and improved version to a Special Issue on “Tourism Innovation” of International Journal of Entrepreneurship and Innovation Management (ISSN online: 1741-5098, ISSN print: 1368-275X), indexed in Scopus. Papers passing the blind-pair review process of the Journals might be publish. We kindly invite you to mark “II International Conference on Tourism Dynamics and Trends” date in your calendar and inform other colleagues who might be interested in attending the Conference. We thank you for your cooperation and look forward to welcoming you in Seville in June 2017. Maria del Rosario González Rodríguez, University of Seville, Spain. Biagio Simonetti, University of Sannio, Benevento, Italy. Massimo Squillante, University of Sannio, Benevento, Italy.